—beginning with This video of what's hot! June 2018 | This product features a new design with real blueberries as the #1 ingredient! 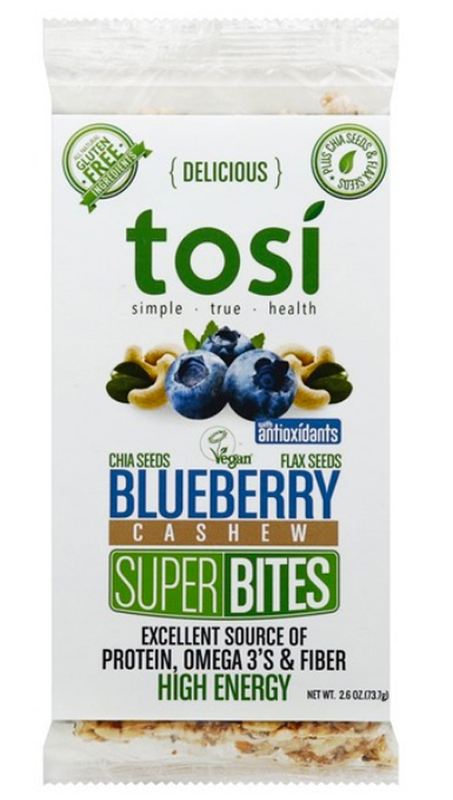 March 2018 | 100% Vegan alternative uses pea protein, and is enhanced with blueberries! November 2017 | Blueberries putting the superfood into breakfast. July 2017 | Prescriptive themed (Rx is Latin for "recipe"); this bar contains tasty blueberries. Blueberries listed third on the ingredient statement panel. April- 2017 | Raw, crunchy freeze-dried blueberries. January- 2017 | Provides four hours of energy. December 2016 | An old favorite - with new look and real blueberries! July 2018 | This is a first! Real Blueberries are the #2 ingredient after milk! April 2018 | Main ingredient for filling—Blueberry Puree Concentrate. Labeled "Made with Real Fruit"
September 2017 | Dried Blueberries in a delicious treat. May 2017 | Soft baked blueberry almond bites. May 2017 | Source of energy and fibre! February- 2017 | Premium Greek-style yogurt with real blueberries. August 2018 | Contains 5 fruit and veggies and dried blueberries are #1! August 2017 | Flavorsome Blueberry Juice yogurt. June 2017 | Blueberries go wonderfully in protein products. March 2017 | Kosher product has 8 g. of protein per 100 g serving. October- 2016 | Here is the vanguard of the beauty from within craze. October 2017 | Tasty dehydrated Blueberries in a yogurt snack. August- 2016 | Some say "paleo" will be the next big thing - with blueberries of course. July- 2016 | More and more grains combined with blueberries. June- 2016 | Made with blueberries and Cascace hops. May- 2016 | At last whole blueberries from Brookside. June- 2016 | Very simple, and very good. April- 2016 | This unique chocolate uses blueberry powder inside. January- 2016 | This new Korean product is revolutionizing the polybag blueberry. February- 2016 | Blueberries and beneficial probiotics that bring your tummy joy. September- 2015 | Drinkable yogurt milks or what are referred to as Kefir in the Middle East and Europe is a booming category. November- 2015 | A real blueberry smoothie mix that is shelf stable. December- 2015 | Baby food with blueberries is an emerging category and Plum has been a leader in combining blueberries with other healthful ingredients. July- 2015 | Blueberries are a great source of fiber in a fiber filled product. August- 2015 | Besides having a beautiful package, this nutrition shake mix contains real blueberry powder. September- 2015 | here is to a great beverage made from frozen blueberries! June- 2015 | In this world of miniscule use of blueberries in some blueberry identified beverages, this product stands out with "Just Blueberries!" Bravo says the Blueberry Guy! May- 2015 | Blueberry Guy has stopped counting the huge number of Blueberry Greek Yogurts out there. Now check out this new spin! Creamy Kefir! April- 2015 | Blueberry Guy has no idea if these Hello Kitty Masks from Hong Kong contain any blueberries. But anything with blueberries and Hello Kitty is good in my book! January- 2015 | Jams and Jellies are the real top user of blueberries in the world. Thank you to all the producers. Here is an interesting twist on the concept with "Small batch" ultra premium jam. This is batch #507! January- 2015 | This is marketing! June- 2015 | This has got to be the Blueberry Guy's favorite product of the year and it is only March! Imagine it takes more than 7 lbs of blueberries to make one lb of real blueberry powder. This is a whole load of blueberries!